The Snakey Spat Band was a fantastic funk band playing in Abingdon from the mid 1970s and the first real band I played in, joining at the age of 17. Poignantly it split up in 1979 in the same week Dexies Midnight Runners reached no 1 in the singles chart. It contained great musicians, including Tim Cairns, Squirrel, Dave Ball and George Day. The horn players included Murray Powell, John WIld, Pat Kelly and his son Julian, Andy Kinch, Andy Miller and Pat Crumley – my saxophone teacher: so I was very lucky to be good enough to play with them. Shortly after the band split Tim and George started the Big Boys Blues Band, playing blues and soul music and I’m still playing in that horn section today, moving from alto to tenor over the years. In the early 1990s I decided to buy a Mark VI to play when needed. Anyone who’s read my review of my Evette and Schaeffer bari can see why I couldn’t use that one. Having checked out potential purchases in my local shops and on the Web I discovered this one advertised relatively cheaply by Howath. This shop is in the centre of London off the Euston road, just outside the Congestion zone. It had been brought in for repair, having been damaged at the top and the owner decided it wasn’t good enough for him any more. It has a Super 80 crook and signs of an excellent repair carried out by the shop. 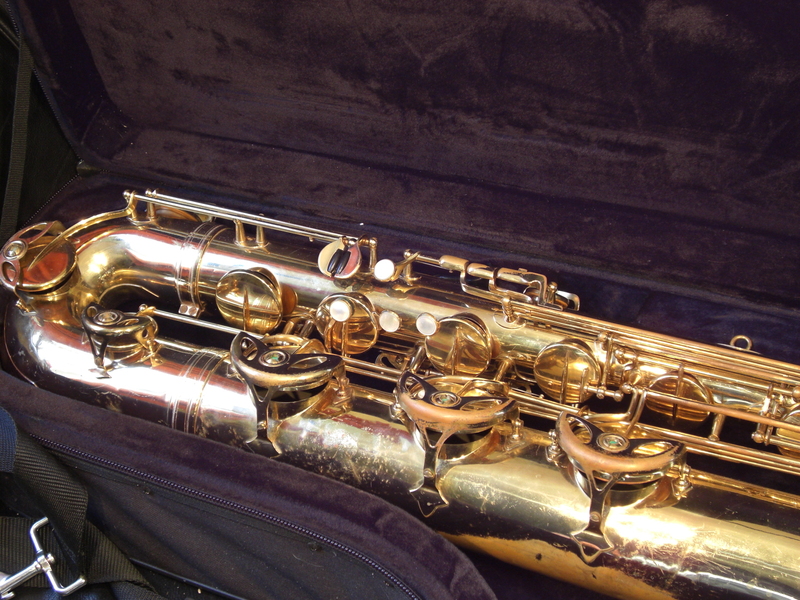 Selmer didn’t change the baritone when they changed from Mark VI to Mark VII: so, although this dates from 1970 I have no hesitation in calling it a Mark VI. It’s well finished in gold lacquer, but has a couple of places where this has been rubbed off – probably as a result of the repair. It weighs a ton, making it a challenge to hold it for a 45 minute set, especially for a sickly lad like me. I have nothing much to compare it with as a blower, being the first and only serious baritone I’ve played. I currently use a gold-plated Otto Link open mouth piece, which makes it a real challenge to fill. However it makes a brilliant, smooth and loud sound. It’s amazing that you hear all the bass instruments in a band when you play baritone – all bass guitar and bass drum. I am thinking of buying a stand so I can continue to play this in future for the weight and a more restricted mouth piece to ease the blowing. If you’re considering getting one of these you should literally weigh-up the competition first – a lighter baritone might suit you more if you’re not that strong. 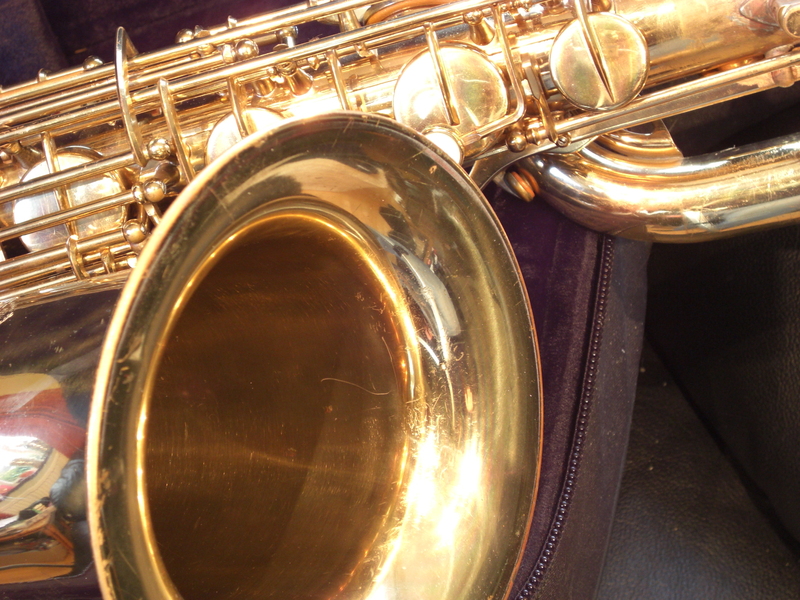 More about Selmer Mark VI saxophones can be found currently on the Web from Sax Forte amongst many others. 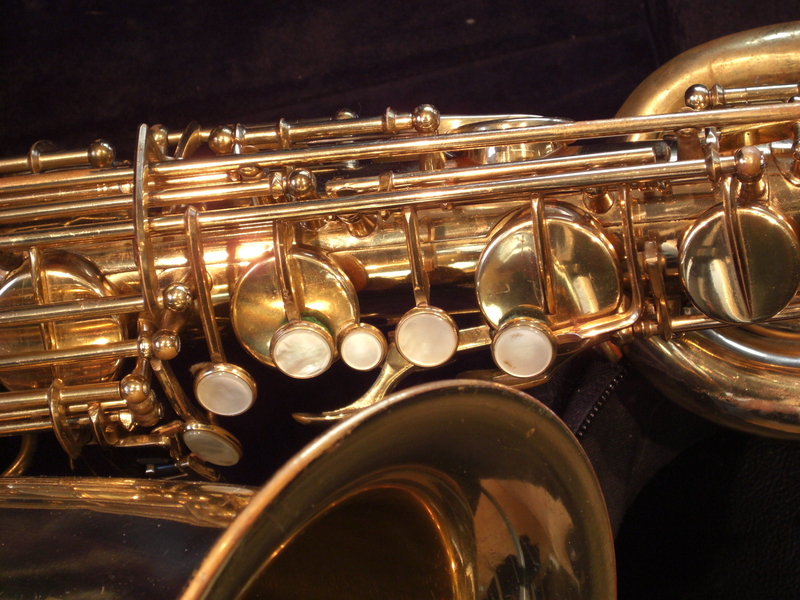 These are the best know saxophones in the world. 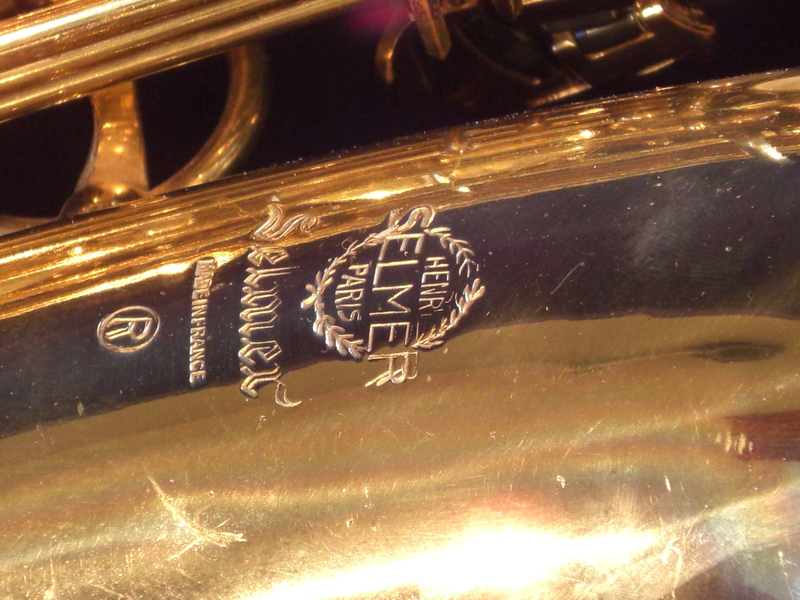 Do you own a Selmer baritone? Please let me know by commenting on this post. 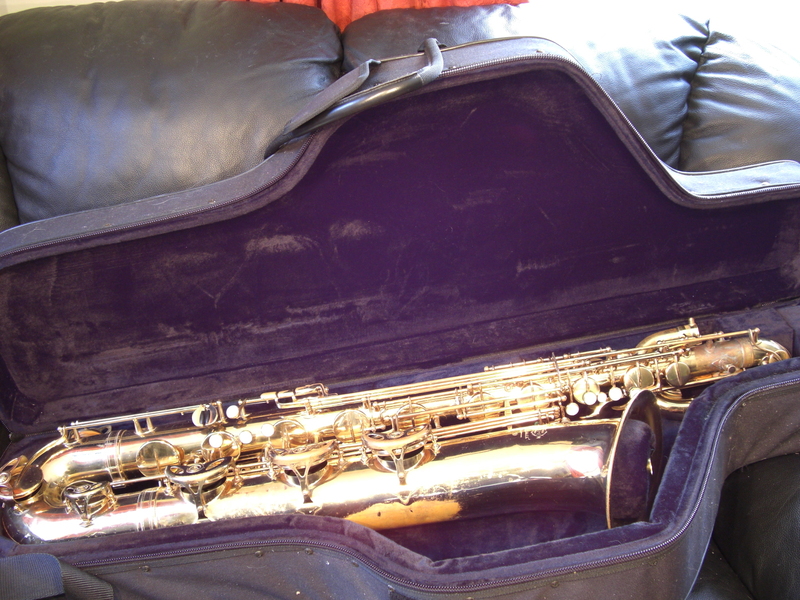 You’re right – I got the date wrong, It’s from 1979 acording to Dr Rick, who gives Selmer and other maker serial numbers by date. It’s still a Mark VI for the reasons given in the post. I’ve changed the date references now. We could write a post on your soprano if you wish – it would be very appropriate for this site. 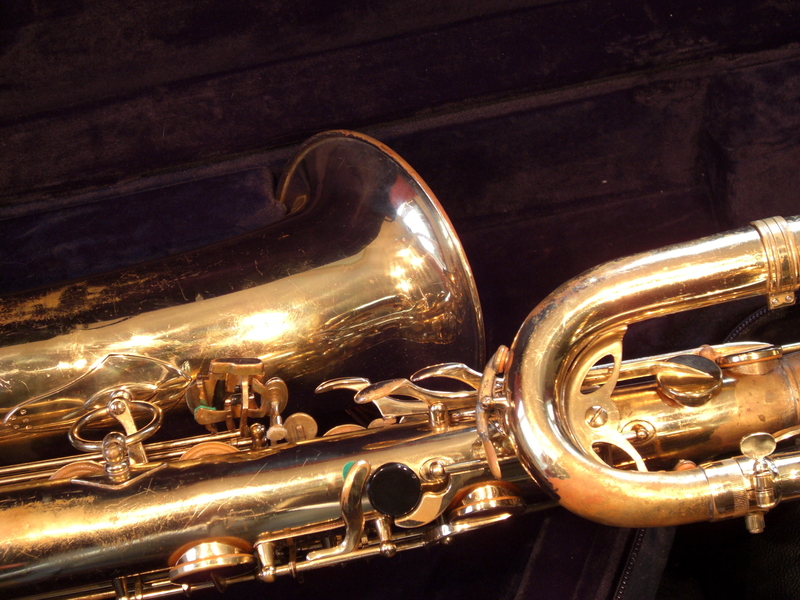 I have carefully read your article, because I own a selmer 267xxx baritone sax. 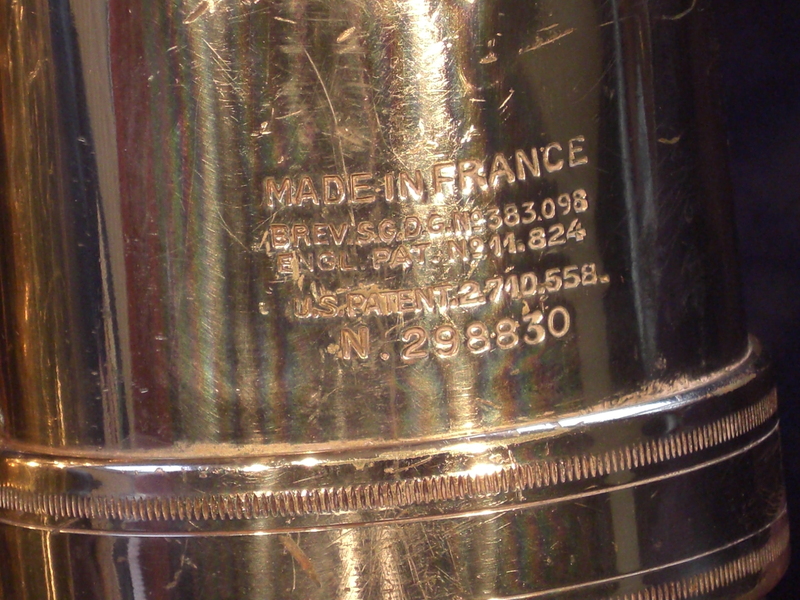 Mine has a “M7” engraved neck and no usual “Mark VI” label you can find on the bottom (bow ?) 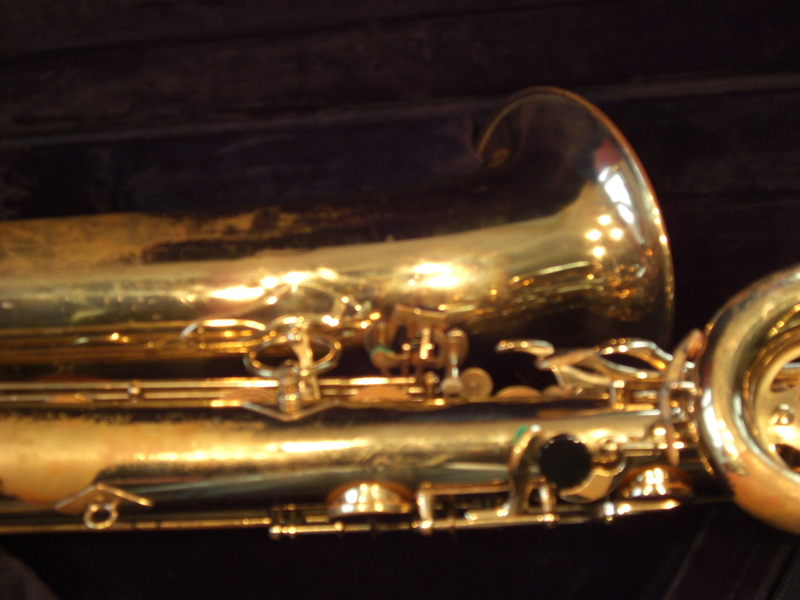 of a tenor or alto MK VI sax. I never had the opporunity to compare with a Mark VI baritone. Question : could you please kindly tell me if your baritone’s neck is “M7” labelled ?